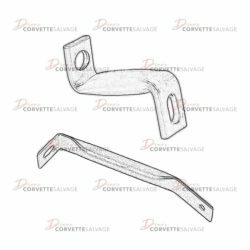 This part is a good, used C6 Upper Radiator Support which can be installed on a 2005 to 2013 Corvette. 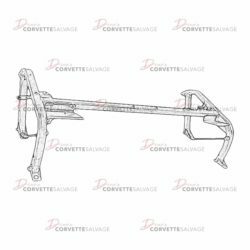 This part is a good, used C4 Center Air Deflector Brace which can be installed on a 1984 to 1996 Corvette. 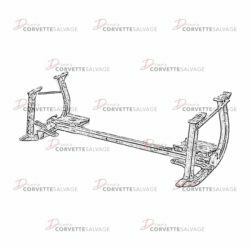 This part is a new C6 Upper Radiator Support which can be installed on a 2005 to 2013 Corvette. 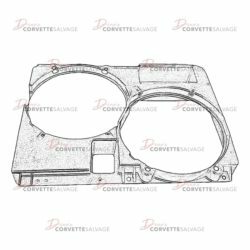 This part is a good, used C5 Coolant Surge Tank Cap which can be installed on a 1997 to 2004 Corvette. 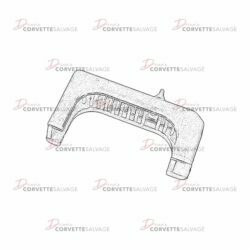 This part is a good, used C5 Upper Radiator Support which can be installed on a 1997 to 2004 Corvette. 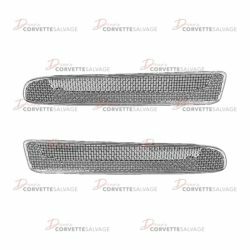 This part is a good, used C6 Front Bumper Air Duct which can be installed on a 2005 to 2013 Corvette. 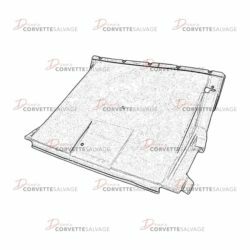 This part is a new, reproduction C4 Lower Radiator Support Skid Plate which can be installed on a 1997 to 2004 Corvette. 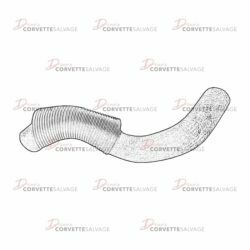 This is a good, used C5 Coolant Surge Tank Outlet Hose which can be installed on a 1997 to 2004 Corvette. 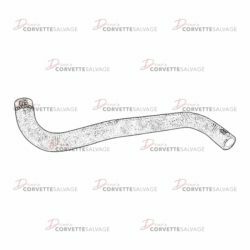 This part is a good, used C5 Lower Radiator Hose which can be installed on a 1997 to 2004 Corvette. 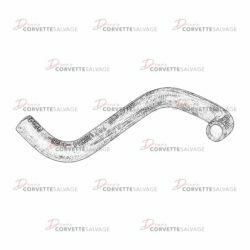 This part is a good, used C5 Upper Radiator Hose which can be installed on a 1997 to 2004 Corvette. 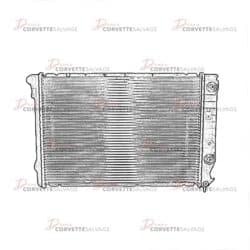 This part is a good, used C5 Radiator which can be installed on a 1997 to 2004 Corvette. 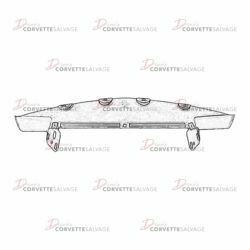 This part is a good, used C5 Lower Radiator Insulator which can be installed on a 1997 to 2004 Corvette. 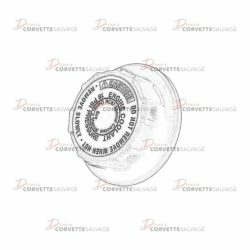 This part is a good, used C5 Upper Radiator Insulator which can be installed on a 1997 to 2004 Corvette. 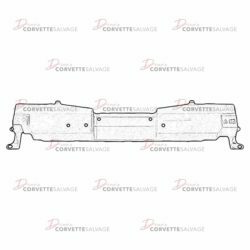 This part is a good, used C4 Radiator Support Lower Cover which can be installed on a 1997 to 2004 Corvette. 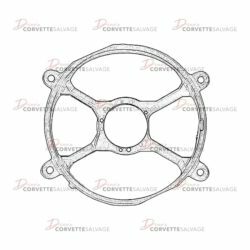 This part is a good, used C5 Fan Shroud which can be installed on a 1997 to 2004 Corvette. 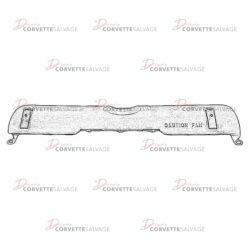 This part is a good, used C5 Front Bumper Lower Grille which can be installed on a 2001 to 2004 Z06 Corvette. 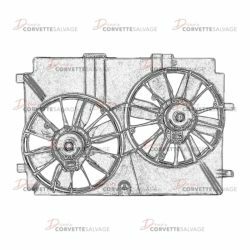 This part is a good, used C4 Fan Shroud which can be installed on a 1990 to 1996 Corvette. 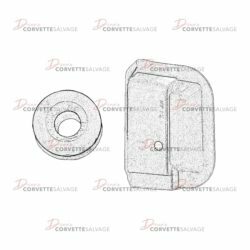 This part is a good, used C4 Cooling Fan Motor Bracket which can be installed on a 1990 to 1996 Corvette. 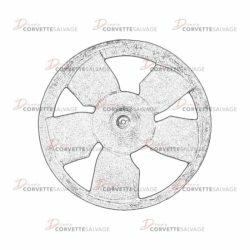 This part is a good, used C4 Cooling Fan Blade which can be installed on a 1990 to 1996 Corvette.